Automotive sensors, as used by most automotive emissions testing equipment manufacturers. 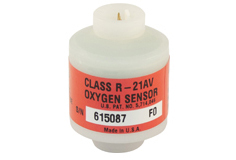 The R series of Oxygen Sensors from Viamed feature a unique and patented Rhodium plating on the cathode resulting in a greater resistance to the effects of CO2, increasing the life of the sensor when used in exhaust emissions testing. Compatible output voltage to OOA101-1 sensors. Compatible output voltage to OOA101 sensors. Higher minimum output voltage, for use with Sun and Snap-On equipment. Can be used in instead of the standard R-17A in most applications. 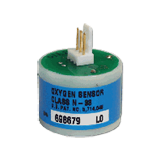 Can be used in instead of the standard R-22A in most applications.